Decision making needs to involve all students across the whole school. For example, our use of 'Personalised Learning' through Inquiry Learning allows students to make meaningful contributions to their learning experiences. The value of whole school consultation with students, supports their connection with learning and the school community. Through formal class meetings, buddy cross-age program and specific leadership roles, students develop responsibility and contribute to many aspects of school culture. 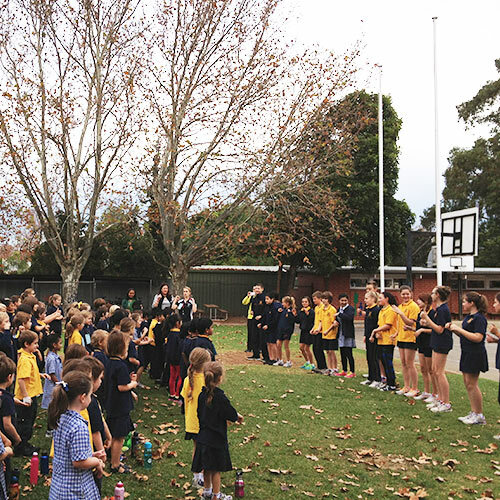 Goodwood Primary provides many opportunities for students to develop leadership skills. These roles support teaching and learning across the site, provide opportunuites to work with groups of peers to making authentic connections with the wider community. A large number of students apply to take on explicit leadership roles across the school in the following areas: Performing Arts, Information and Communication Technology, Safe Buddies, Library Leaders, Garden & Environment and Student Ambassadors. These students provide support in a variety of civic responsibilities.